When it comes to health, hormones and gut bacteria have a much bigger effect than many people realize. In fact, these two factors can destroy health even if everything else (diet, supplements, etc.) is optimized. Conversely, regulating hormones and fixing gut bacteria can do a lot to boost health, even if not all the other factors are optimal. In fact, there are even studies about using certain hormone reactions to heal brain trauma. What controls ovulation, reproduction, pregnancy, etc? Hormones. Yes, when it comes to losing weight or improving health, what do we focus on? Calories… or micronutrients… or diets. 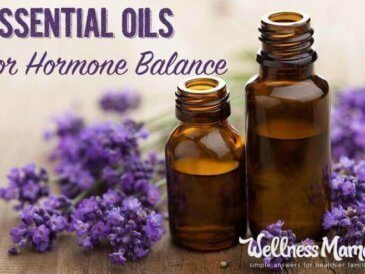 Those with symptoms like fatigue, skin issues, weight gain, weight around the middle, trouble sleeping, always sleeping, PMS, endometriosis, infertility, PCOS or other issues may find that addressing hormones is vital for recovery. 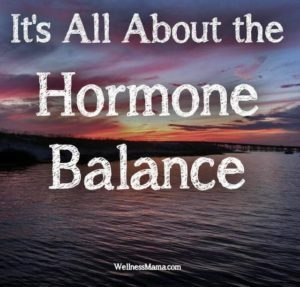 Hormones are your body’s chemical messengers. They travel in your bloodstream to tissues and organs. They work slowly, over time, and affect many different processes, including metabolism, sexual function, reproduction, mood and much more. Hormones are produced in a complex process, but depend on beneficial fats and cholesterol, so lack of these important dietary factors can cause hormone problems simply because the body doesn’t have the building blocks to make them. Toxins containing chemicals that mimic these building blocks or that mimic the hormones themselves are also problematic because the body can attempt to create hormones using the wrong building blocks. Mutant estrogen anyone? I’ve heard so many cases lately of people who have improved diet, started exercising, etc. but are still not losing weight or improving their health markers. After talking to many of these people, it seems that the factor they all have in common is an underlying problem with hormone balance. I’ve written about Leptin and thyroid hormones before, and these are just a small piece in the complicated hormone system in the body. In a given day or month, a woman’s body will have fluctuations in hormones like estrogen, progesterone, cortisol, lutenizing hormone, prolactin, oxytocin, leptin, ghrelin, thyroid hormones, melatonin, serotonin and others. I’ve talked about this before, but the body is simply not meant to consume the man-made fats found in vegetable oils. The fat content of the human body is largely saturated fat, with only about 3% of the body’s fat coming from other types. The 3% of the body made up of polyunsaturated fats contains both Omega-3 fats and Omega-6 fats in about a 50:50 balance. This ratio is extremely important for health, and it is often ignored. Seed based vegetable oils (like canola oil, soybean oil, etc.) are very high in Omega-6 fats and low in Omega-3 fats. Since the 1950s, these seed based oils have replaced many sources of saturated fats and Omega-3s in the diet. This is one of the reasons that most people are not getting enough vital Omega-3 fatty acids from their diet. Not only are we consuming way too many omega-6 fatty acids from polyunsaturated vegetable oils, but we are not consuming enough beneficial Omega-3s and saturated fats. These types of fats are vital for proper cell function and especially for hormone function, as these are literally the building blocks for hormone production. When we don’t give the body adequate amounts of these fats, it must use what is available, relying on lower quality polyunsaturated fats. The trouble is that polyunsaturated fats are less stable and oxidize easily in the body, which can lead to inflammation and mutations within the body. Emerging evidence suggests that that this inflammation can occur in arterial cells (potentially increasing the chance of clogged arteries), skin cells (leading to skin mutations) and reproductive cells (which may be connected to PCOS and other hormone problems). For this reason, Coconut Oil is amazing for hormone health. It provides the necessary building blocks for hormone production, can assist weight loss, reduce inflammation, and even has antimicrobial and antibacterial properties. My favorite way to consume it is to blend into coffee or tea. This is the highest quality one I’ve found. Other quality sources of fats include avocados, animal fats, olive oil, grass fed meats, pastured eggs, and raw dairy (for those who tolerate it). Quality seafood is also very important, as it is nature’s best source of naturally occurring Omega-3s. Bottom line: Don’t eat fats like vegetable oil, peanut oil, canola oil, soybean oil, margarine, shortening, or other chemically altered fats. Choose fats like coconut oil, real butter, olive oil (don’t heat it!) and animal fats (tallow, lard) from healthy sources instead and eat lots of high Omega-3 fish. I love coffee a lot, but the truth is that too much caffeine can wreak havoc on the endocrine system, especially if there are other hormone stressors involved, like pregnancy, presence of toxins, beneficial fat imbalance or stress. Cut down the coffee if you can, or replace with beneficial herbal teas (here are my ten favorite DIY recipes). If you can’t or won’t cut the coffee, use it as a way to sneak in your beneficial fats by adding 1 tablespoon coconut oil to each cup and blending in the blender to emulsify. It is like a latte but with healthy fats! Here is the recipe I use and the only way I drink coffee. Harmful chemicals found in pesticides, plastics, household cleaners, and even mattresses can contain hormone disrupting chemicals that mimic hormones in the body and keep the body from producing real hormones. Things like hormonal birth control can (obviously) do the same thing. For those with a hormone imbalance or who are struggling to get pregnant, avoiding these unnecessary chemicals is very important! Cook in glass or non-coated metal pans (no non-stick or teflon) and avoid heating or storing foods in plastic. Find organic produce and meat whenever possible and don’t use chemical pesticides or cleaners. Here is a recipe for a natural cleaner. Beauty products are another source of chemical exposure for many people. There are tens of thousands of chemicals in the personal care products we encounter daily, and most of these chemicals have not been tested for long-term safety. Avoiding these products can make a tremendous difference in achieving hormone balance. 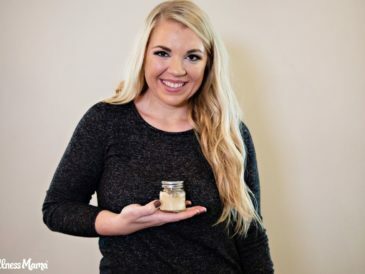 Start by making simple switches like homemade deodorant, and homemade lotion and even DIY makeup if you’re feeling adventurous. 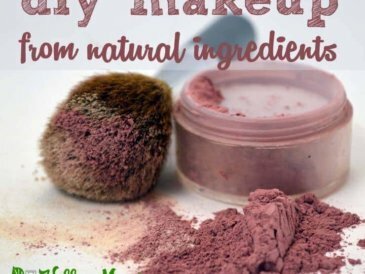 Check out my full index of natural beauty recipes here. While you’re sleeping, your body is extremely active removing toxins, recharging the mind, and creating hormones. Skimping on sleep, even for one night, can have a tremendous impact on hormones and even one night of missed or shortened sleep can create the hormone levels of a pre-diabetic (source). Improve your sleep environment by removing artificial light, optimizing temperature and sound, and other stimuli. If possible, remove chemicals from your mattress and choose a non-toxic mattress that supports sleep naturally. Create a daily routine to help support your natural circadian rhythms. Wake up and go to bed at the same time, even on weekends to keep your hormone cycle regular. Eat a high protein/high fat snack a few hours before bed (7pm or earlier) or consume a lot at dinner. If you have trouble falling asleep, try these four tricks. Get a lot of natural light during the day, and spend at least 30 minutes outside each day if possible. The wide-spectrum of natural lighting helps boost serotonin levels which balance melatonin levels at night. In fact, my doctor routinely recommends that his patients get 30 minutes of sunlight or bright light within an hour of waking when they are working to balance hormones. Avoid artificial light as much as possible after the sun goes down. Install F.lux (it is free) on all computers and devices to reduce blue light and help you sleep better (it is also easier on the eyes). Give yourself (or have someone else give you) a massage before bed to release stress and help relax (Personally, I love this for home-massage). Stretch before bed to relax muscles. Unfortunately, we live in a world where the food supply is often depleted of nutrients due to over-farming, the water is often contaminated with chemicals, and even the air can contain compounds that cause havoc in the body. Ideally, we could get all of our nutrients from food, properly hydrate from water, and get enough Vitamin D from the sun on a daily basis. We’d get magnesium from the ocean and not get deficient in the first place since we’d be consuming adequate minerals from eating fresh seafood. Since this is rarely the case, supplements can sometimes be needed! 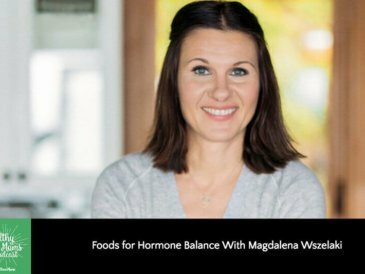 I’ve shared the basic supplements that I take before, but certain supplements are especially helpful for hormone balance. Maca– A hormone boosting tuber in the radish family with a long history of use in Peru. Women who use this often see improvements in fertility, reduction in PMS and better skin/hair. It can help men with sperm production, testosterone levels and muscle composition. Maca is a good source of minerals and essential fatty acids, which is one of the ways it supports hormone balance. It is available in powder form (least expensive option) or in capsules. Maca should be discontinued during pregnancy. Magnesium– Magnesium is vital for hundreds of functions within the human body and many of us are deficient in this master mineral (here’s how to tell if you are). There are several different ways to get Magnesium: In powder form with a product like Natural Calm so that you can vary your dose and work up slowly, ionic liquid form can be added to food and drinks and dose can be worked up slowly,or transdermal form by using Magnesium oil applied to the skin (this is my favorite method). Topical application is often the most effective option for those with a damaged digestive tract or severe deficiency. Vitamin D & Omega-3s– A pre-hormone is supportive of hormone function. Best obtained from the sun if possible, or from a D3 supplement or Cod Liver Oil (a good source of Omega-3 and Vitamin D and what I do in the winter). Make sure not to get too much, and optimally, get Serum Vitamin D levels checked to monitor levels. Natural Progesterone Cream– PMS and menstrual troubles are often linked to specific hormone imbalances. Especially for those with short cycles or short second phase of their cycle (ovulation through start of menses), progesterone can be the issue. I’ve seen people add only natural progesterone cream and see symptoms greatly reduce. If you do use progesterone cream, do you own research, make sure you have a good brand that is soy-free and only use for the second half of your cycle (ovulation through menses). Check with a doctor or professional before using any hormone supplement. I personally like Rebounding, which is great gentle exercise and has additional health benefits. While extended cardio can be bad, short bursts of heavy lifting (kettlebells, deadlifts, squats, lunges) can be beneficial since they trigger a cascade of beneficial hormone reactions. Aim for a few sets (5-7) at a weight that really challenges you, but make sure to get help with form and training if you haven’t done these before as bad form can be harmful. Vitex/Chaste Tree Berry– Nourishes the pituitary gland and helps lengthen the luteal phase. It lowers prolactin and raises progesterone. For some women, this alone will improve symptoms. Red Raspberry Leaf– A well know fertility herb that is also helpful in reducing PMS and cramping. It has a high nutrient profile and is especially high in calcium and is a uterine tonic. It is available in capsule form, but makes an excellent hot or cold tea. Adaptogens- Herbs that help the body handle stress and support the adrenals. 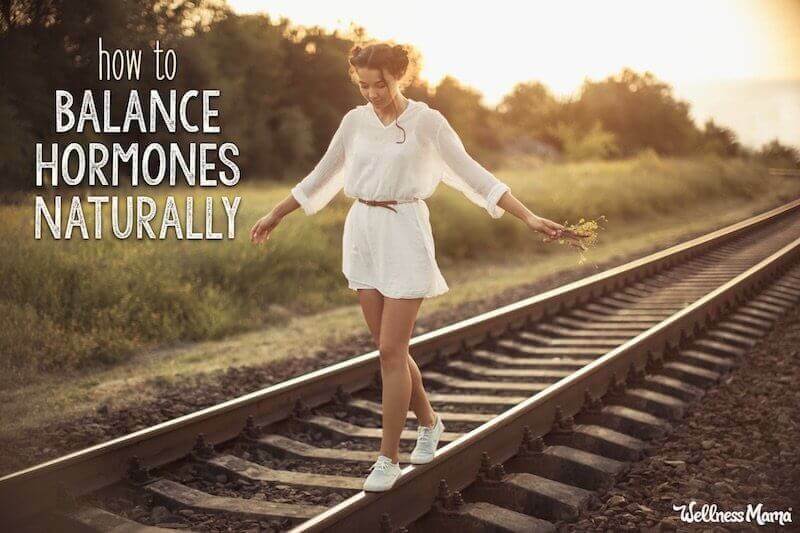 They are a great and natural way to work toward hormone balance for many people. This is a good primer on understanding adaptogens. The digestive system has much more of an impact on hormones than many of us realize. Not only is the digestive tract the source of many vital neurotransmitters in the body, but an imbalance in the gut can translate to an imbalance in neurotransmitter and hormones. Serotonin, a necessary neurotransmitter for sleep/stress balance is more concentrated in the gut than even in the brain! 70% of the immune system is found in the gut and it is quite literally the motherboard of many functions in the body. Even thyroid health has been linked to gut health. Leptin is a master hormone, and if it is out of balance or if you are resistant to it, no other hormones will balance well. Fixing leptin will also help boost fertility, make weight loss easier, improve sleep, and lower inflammation. Dr. Jack Kruse, a neurosurgeon, has a whole system for getting leptin into balance. None of the above can be temporary measures, but need to be a whole lifestyle change in order to keep hormone levels in balance. Take it from a recovering perfectionist, though… baby steps are just fine! Once you master these tips (or even just a few of them) make the changes stick by supporting your body with a whole foods, hormone-friendly diet. 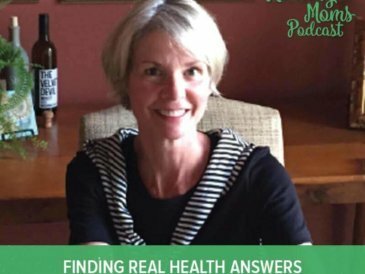 For in-depth guidance, I highly recommend my friend Magadalena Wszelaki’s Cooking for Balance e-course. It’s targeted for exactly this purpose and leads you through every (baby) step of the process. 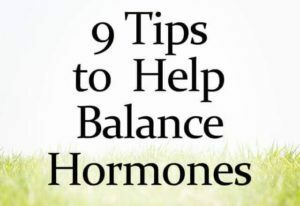 The infographic below is a quick overview of steps to balance your hormones. Pin it or share it to save for later! 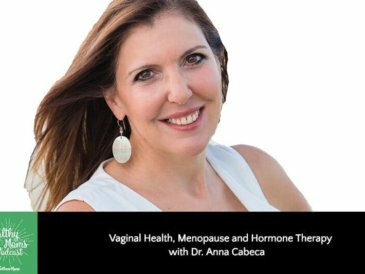 Have you struggled with hormone problems? What helped you? Share below!